The president of Berea College says the Madison County private school receives $12 to $18 million each year from maturing bequests. 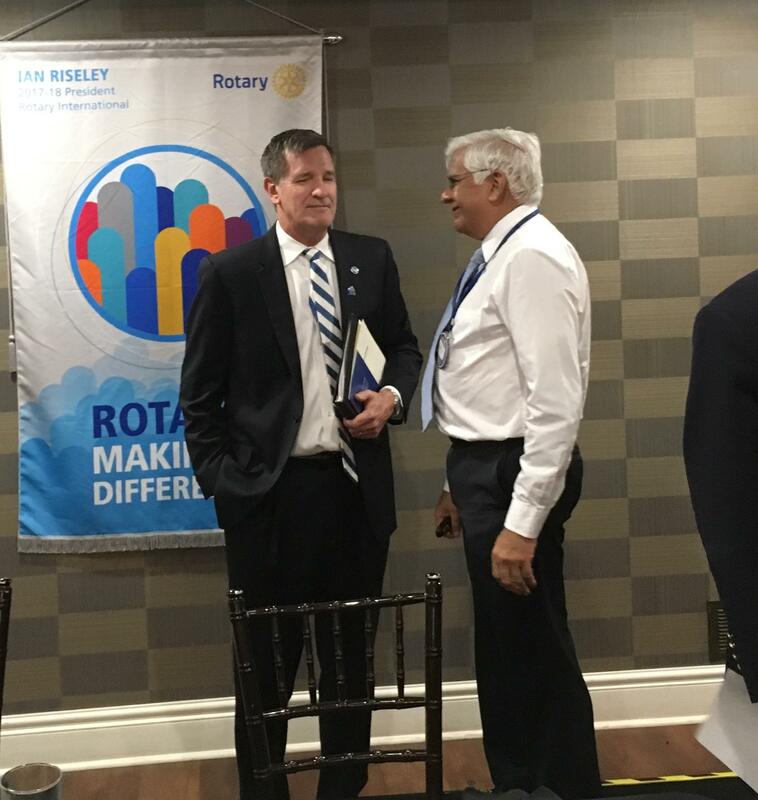 President Lyle Roelofs addressed Lexington Rotarians Thursday afternoon. During his remarks, the school’s ninth president spoke of Berea’s third president, William Goodell Frost and his fundraising interest noted in an early 1900 poster. “He had a positive attitude, where there’s a will there’s a way and I would have to say that that plucky spirit continues at the college,” said Roelofs. Roelofs told Rotarians Berea once had a student population of which 50 percent were people of color. He says today that percentage stands at 30%. “Once in a while alums who are very away of that 50-50 character back in the 19th century wonder if we could get to that point again. And, I’m not against that. If that would happen, that would be interesting, a place where being white truly doesn’t matter,” noted Roelofs. Known for its free tuition policy for students, Berea also has a major focus on serving students from Appalachia. Roelofs says between 70 and 80 percent of the 1600 students have roots in the region. A crowd of about a hundred gathered in Berea Monday to show support for a lesbian couple targeted by vandals. 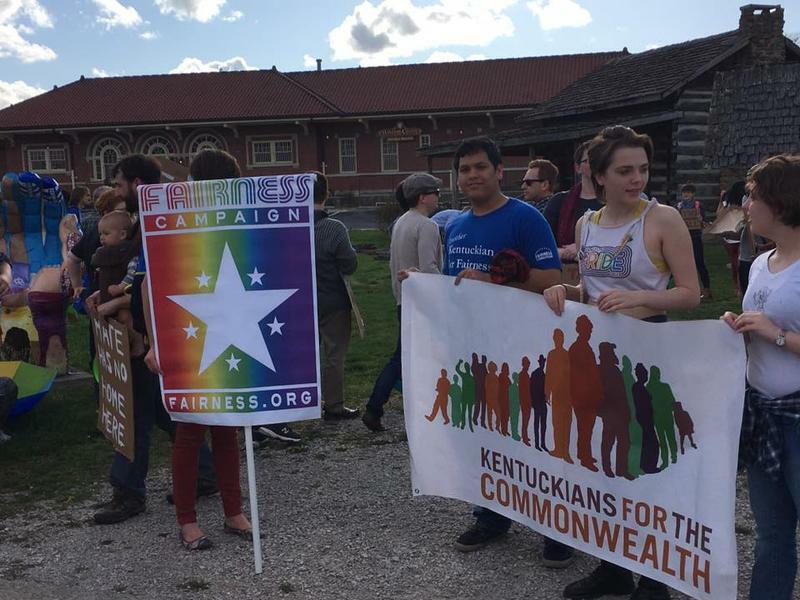 Organizers also used the event to draw attention to the need for a fairness ordinance in the Madison County community. One of the most prominent leaders of the Civil Rights Movement delivered the commencement address at Berea College Sunday. 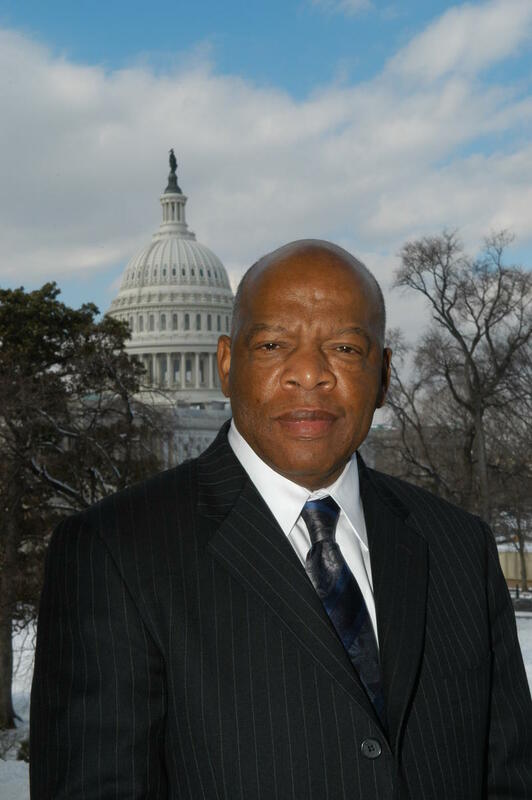 Congressman John Lewis, of Georgia is widely known as one of the “Big Six” leaders of the movement working to end racial segregation and discrimination.